Is having declining faith in Jeremy Corbyn a good place to be? A personal view. Jeremy Corbyn was my first choice for leader of the Labour Party twice. I’ve always voted Labour, and I’m currently 42. I don’t consider myself a Euro-fanatic, but I voted ‘remain’ in Brexit. But I must admit when Corbyn said ‘Now the real fight begins’, I got genuinely scared – it had for me, as Emma Burnell opined, all the overtones of someone who doesn’t really believe in parliamentary democracy. There are some people who believe that Jeremy Corbyn can do ‘no good’. I am not one of them. I have previously supported Corbyn to the hilt, and I think most of his principles in domestic policy are reasonably sound. We are both socialists. For example, I agree with Corbyn on cracking down on aggressive corporate tax a aoidance, and wishing to tackle head-on the crisis in social care and social housing. I agree that fundamentally the situation Labour finds itself is not as such Labour’s fault. I am not a ‘Blairite’ – there were some successes in the Tony Blair governments, and some failures. The history for me personally is that, in the last leadership election shortly after the referendum of June 23rd 2016, I found myself disagreeing with the views of Owen Smith MP and his supporters. 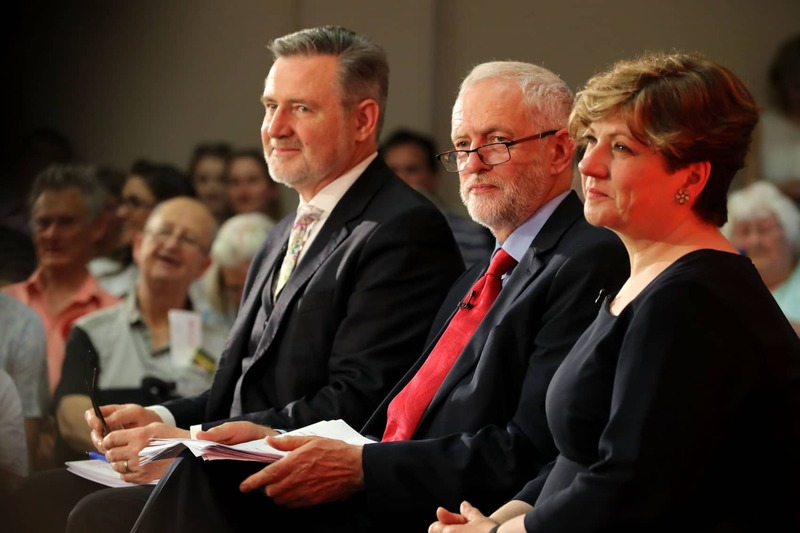 I felt that that particular time was not the best time to having yet another leadership election when Corbyn had only just been democratically elected leader – and I felt that the behaviour of much of the Labour Party was pretty unconscionable. In fact, I blocked several Labour MPs on Twitter. There was an unsaid deal that the parliamentary Labour Party would try to be more professional in experience, such as not briefing the media about offices which they should have vacated after publicly resigning, if the leadership machine communicated better with the PLP. There was an unsaid agreement that there would be at some stage much more useful detail about policies. Whilst not violently anti-Blairite, the spectacle of Anna Soubry MP and Alastair Campbell ganging up on John McDonnell (like Clive Lewis, a follower of mine on Twitter) beyond the pale. Let’s be clear. Reversing corporation tax to fund the NHS and social care is not a policy in itself – nor is renegotiating the private finance initiative, important though that is. There is, however, an honest conversation to be had about how GPs feel themselves totally overwhelmed by the demand (and so do Accident and Emergency Departments), and, on the whole, people are living for longer with complex co-morbidities such as dementia. GPs will be the first to tell you that ‘ten minute appointments’ do not do their patients justice, and certainly insufficient for a frank discussion about psychological therapies for dementia compared to reaching for the prescription pad. The whole debate about integration has become engulfed in criticism about the sustainability and transformation plans; that there is insufficient money in both the NHS and social care is not in any dispute. On the other hand, for many long term conditions, the decision between ‘health’ and ‘social care’ is totally arbitrary and yet this has a profound impact for individuals in terms of their funding arrangements. The reality of ‘care at home’ is far from the rhetoric and yet the Department of Health is fighting its own battles such as with the junior doctors over their contract – whilst Jeremy Hunt is touring the world boasting about patient safety (neglecting to mention 20 hour trolley waits in England), and seeing if he can aggressively pimp NHS services to a New Trump US. We are all left exasperated wondering what it is that the UK is so desperate to sell to any country, dictatorship or otherwise, far flung or not. Jeremy Corbyn’s stance is indeed ‘principled’ in that one half of the party faces one way (constituencies wishing to remain in European Union, such as Islington), and one half facing the polar opposite (constituencies wishing to leave the European Union, which as Hayes). But back to Nye Bevan’s old adage, ‘if you stand in the middle of the road, you are bound to get run over’. Corbyn’s political stance means inevitably he will end up annoying many on both sides, especially some in the 48% who oppose a ‘hard Brexit’. Whilst Keir Starmer and pals do not want to soil their lips with the words “hard” and “Brexit”, there is no other term for not being included in the single market, or giving up on the free movement of people. The ‘taking back control’ meme has become rampant, and it seems that every MP is entitled to justify voting like a robot even more on grounds of the fact that ‘this referendum result was delivered by the people’. The case against leaving the EU won’t go away, however, including the 40-60 Euro divorce fee, or the hit the economy will take when the City is not allowed to do EU passporting. But it is said that many Brexiters are prepared to take this hit. Indeed, many Corbyn voters who voted Brexit seem intensely relaxed about Jeremy Corbyn’s performance. You’d be forgiven for thinking Britain has a bright future, despite the import inflation and problems in finding workers for certain sectors of the economy. For now, Scotland, which voted to remain in the EU largely, has been muzzled, but it will not be long before they ‘take back control’ again and ‘roar again’ as Alex Salmond put it. The Brexit vote has given fuel to Nigel Farage’s rantings on his radio show, having extra rocket fuel from the election of a bigot, sexist, and racist elsewhere. The LBC phone lines are choc-a-bloc with racist and xenophobic rantings about how the ills of the world can be placed at the feet of immigrants. But such criticisms would be to shoot the messenger of this xenophobic racist rubbish rather than the message itself. A major ‘miss’ was there not being implemented a Migration Impact Fund, or Posted Workers Directive, to give areas of high migrant population additional financial support, or legislation to stop the undercutting of workers. But the solution to all this is not Amber Rudd MP, in the same way the immigration levels sky rocketed under Theresa May MP. Without any attempt to limit proportionately migrant numbers, and without funding public services, leaving the European Union is simply a smoke-and-mirrors exercise, and you can bet Nigel Farage will have long gone by then. I do agree very much that it’s not all Jeremy Corbyn’s fault. There are many head winds in the opposite direction to Jeremy Corbyn. For example, Corbyn daily has to deal with a vicious media and there are rarely any positive noises coming out of the Guardian or Laura Kuenssberg about him. And also, there has been a relentless focus on the ‘Labour rebels’, and the three-line-whip from Corbyn (presumably because Corbyn does not want to be blamed for obstructing Brexit), but one really has to wonder what on earth has happened to those Tory MPs who reperesnt ‘remain’ consittuencies. It is entirely possible, of course, that the Liberal Democrats will take these seats, and then the critical question for 2020 will be who is the largest party. I have a hunch this will be the Conservatives, wishing to form a coalition with the Liberal Democrats, rather than Labour and the SNP forming a coalition (assuming that there is no sign of a turnaround in Scotland’s fortunes from Jeremy Corbyn and Kezia Dugdale). Quite frankly, these are desperately stressful times for some people who want to vote Labour. There are some people who think that Jeremy Corbyn is utterly brilliant – and all power to their elbow. But there are also different people who believe Corbyn is overseeing the suicide of the UK Labour Party. Irrespective of your views on EURATOM or the ERASMUS scheme, what are we tell close friends of ours who are EU nationals and remain as ‘bargaining chips’ in the negotiation about to happen? The reality is that we do not know what the attitude of the European Union will be – but guaranteed the hyperbolic importance of England by Nigel Farage over Brexit is not matched by the column inches devoted to Brexit in the continental newspapers. I have a declining faith in Jeremy Corbyn, but my ‘faith’ is being put to the test. I don’t see any other saviour on the horizon, and a third leadership election might make him bullet-proof as far as the membership is concerned. I would feel a lot more reassured if we had more detail on domestic policy, but I understand the problems in predicting the state of the macroeconomy particularly with Brexit and Donald Trump looming on the horizon. And of course the 2020 general election might be a very good one to lose, if you take away the possibility of Jeremy Hunt negotiating a UK-US trade deal which would kill off the NHS entirely. There are key differences between Theresa May and Bridget Jones. For a start, Jones was single for a long time. And Bridget Jones always tended to look desperate. The Labour Party is divided on Brexit – but they’re not the only ones, and it’s not Jeremy Corbyn’s fault. My late father used to tell me that there are some people who will love you whatever you do, some people who will hate you whatever you do, and some people who will always remain indifferent. Many parliamentary Labour MPs have criticised Jeremy Corbyn so much, that further criticisms of Corbyn now over Brexit would be completely hollow. To use an analogy, they have already ‘used up their lives’. Let me pin my nails to the mast. I am in my early 40s, and was opposed to Brexit for the purposes of the June 23rd 2016 referendum. I don’t think this makes me a ‘remoaner’. I was always a bit concerned about the domestic abuse of the UK governments in state aid rules, and this is clearly of concern with the pre-meditated drastic, severe and chronic under-funding of the National Health Service and social care. I was similarly concerned about whether the EU en bloc with the US would become embroiled in TTIP, a transatlantic trade agreement, which would make it much easier for ‘free movement of capital’ ownership of ‘our NHS’. But I am told by various loud voices that what concerned many, stereotypically outside Scotland and London, was a free movement of workers, many unskilled, undercutting ‘home grown produce’. Unfortunately, some of this genuine concern got transformed into outright racism and abuse, as can be clearly seen in some of the vitriol aimed at Gina Miller. I get the fact that there are some Labour MPs who represent constituencies representing populations who wanted to remain in the European Union. I also get the argument that you wouldn’t want, ideally, to sell your house, and make yourself homeless, and have nowhere to go to. But the idea that we will know much of the detail of the negotiations this early on is pie in the sky on the whole. Clearly, if it were the case that the European Union demanded forced repatriation of British citizens living in Europe, there would be a strong case not to start the chain of events culminating in us leaving the European Union; but this is quite unlikely, if only we don’t have a clear idea of which EU citizens are living in the UK for a start. It is pretty likely that, in the absence of strong free trade agreements elsewhere, our domestic economy would take a big hit if the UK was not included in the EU single market, but at this point this is a prophecy, and coud be right or wrong like every single other economic prediction. I understand the need for Labour MPs to make it public that they cannot comply with a 3-line whip set by Corbyn, when their ‘conscience’ will not allow it (and nor will their local membership). We are where we are, however. The referendum, we all know by now, was only legally advisory according to the relevant Act of parliament, but unfortunately it is also the case that the non-binding yet forceful words dropped into every letterbox in the land: “that the Government will implement whatever you decide.” The case for re-running the referendum in some form of other on account of the outright lies is weakened by the fact that every single UK election has had a big degree of lying (remember ‘no top reorganisation of the NHS’ by Cameron prior to the 2010 general election?) Whilst a referendum is not the same as an election, it was David Cameron’s decision to put the issue to a referendum in his famous Bloomberg speech to defuse grumblings in his own party. What this inevitably has done has exposed a split opinion in the country at large, and it would be nonsense to believe that the splitting of opinion is simply confined to the Labour Party. Whatever you dislike about Jeremy Corbyn MP, for example his famous terrorist ‘friends’ remark, his arguably somewhat patronising tone in giving interviews, his dress sense, his purported lack of patriotism when singing the national anthem, Jeremy Corbyn is in no way responsible for the split within the Labour Party on Brexit. Many of his MPs represent constituencies who do not see the ‘benefits’ of immigration. Many of his MPs represent the polar opposite viewpoint. In as much as the only certainties are ‘death’ and ‘taxes’, one thing is pretty certain in that Jeremy Corbyn MP as leader of the Labour Party would be unlikely to make everyone happy on Brexit. This is not the same as the Labour Party appearing ‘confused’ on Brexit, as constantly levelled at Emily Thornberry MP in media interviews. Quite the reverse, the ‘three line whip’, if anything, is Jeremy Corbyn showing the ‘strong leadership’ or ‘real leadership’ demanded of him by Angela Eagle MP and Owen Smith MP in their failed leadership bids. Now that the Supreme Court had decided that there is insufficient mileage in the argument that the Royal Prerogative is sufficient to trigger Article 50, a Bill predictably has been laid before parliament, longer than the Bill giving women the vote. Labour and the Conservatives, unlike the SNP and Liberal Democrats, have taken national party lines of triggering exiting from the European Union. I feel that the need for MPs to comply with national policy comes less from the convoluted arguments of Edmund Burke on delegates versus representatives, often misquoted inaccurately, but the issue that otherwise MPs would be acting as independents. There are clearly massive problems down the line, if the US Congress decide to do a trade deal with the UK massively to the detriment of the UK for the political convenience of the governing parties of the UK and US. Or, there are issues if, to gain competitive advantage, the UK feels it must lower corporation tax rates even further to stop capital migrating, say, to Ireland, turning the UK effectively into a ‘bargain basement tax haven’ was warned in unison by Keir Starmer QC MP and Jeremy Corbyn MP. It is not immediately obvious what the UK has to sell in a trade deal to the US apart from its genius – but the rich pickings that would made of the NHS is not “scaremongering” but a genuine issue which lies in the national interest. Exiting the European Union per se is the starting gun. The current Government has previously talked about repealing the Human Rights Act (ideologically consistent with leaving the jurisdiction of the European Court of Justice). There’s no guarantee that xenophobia in some parts of the UK ‘heavily hit by immigration’ will be alleviated short of mass deportation of citizens awaiting guarantees of permanent residence, or by a ‘migration transformation fund’ promised by Labour back in 2010. There’s no guarantee that total immigration levels will fall drastically. We do, however, already know that Indian and Australian Doctors do not feel it is their duty to plug the ‘skills gap’ in the NHS, given the torrential negative perception of the NHS given by its longest serving Secretary of State, Jeremy Hunt. But it would be political suicide if Labour unilaterally came out on the side of the 52% or the 48%. We know that countries of the European Union do not see the four freedoms, in people, capital, goods, and services, as anything other than an unitary package. It’s pretty unlikely that London, even if achieved outright devolution imminently, would be allowed to gain EU passporting rights maintaining a sectoral lifeline for the City. It’s also pretty unlikely that a small number of revolting Labour MPs, SNP MPs and Liberal Democrat MPs (#seewhatIdidthere) will be sufficient to stop the triggering of Art. 50. 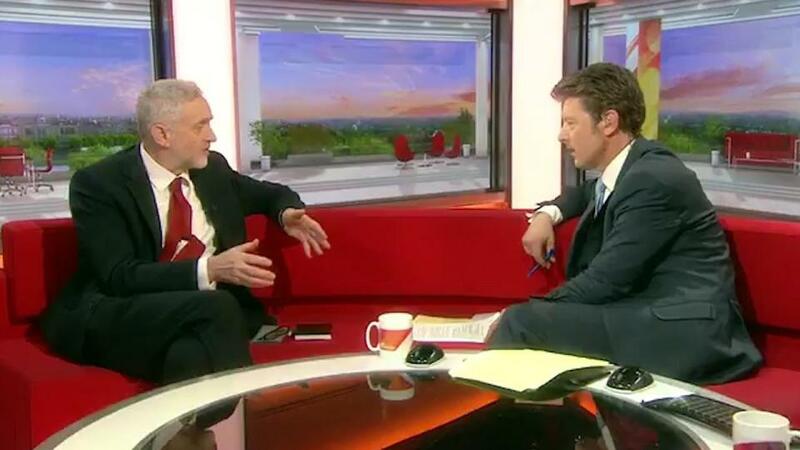 Jeremy Corbyn MP, meanwhile, will have to do the best with the deck of cards he’s been handed. Keir Starmer QC MP is right not to get worked up about the semantics of the hard versus soft Brexit. The approach taken by Theresa May MP is substantially one of pragmatism, even if the rhetoric and mood music are more akin sometimes to euphoric Nigel Farage. Many of us reasonably minded like-minded people (or liberal snowflakes) want to reach for the sick bag as soon as we hear about the personal relationship or special chemistry between Theresa May and Donald Trump. Likewise, Jeremy Corbyn can only try to make the best of a bad deal, but, if he is held as being downright obstructive to Brexit, all hell will break loose. I think with import inflation, the skills gap in the UK, and societal discord, Brexit will pan out to be an unmitigated disaster. But it would be wrong to blame Jeremy Corbyn for that too. And by the way… we know what happened to Bridget Jones in the end.